Apps continue to become the new norm of business productivity; giving employees cross-device operability with instant access to decision-making data. Yet, many organizations still miss the mark, (or don't even try) to implement the safeguards on apps and company data, despite the billions of passwords and personal information shared by employees' (whether knowingly or through new mobile malware threats). 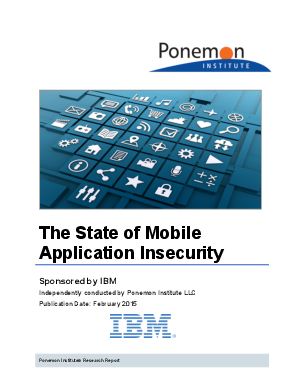 Download the "The State of Mobile Application Insecurity"today to see where other organizations stand, how they plan to change as their business becomes mobile first and where organizations can find help to keep moving.